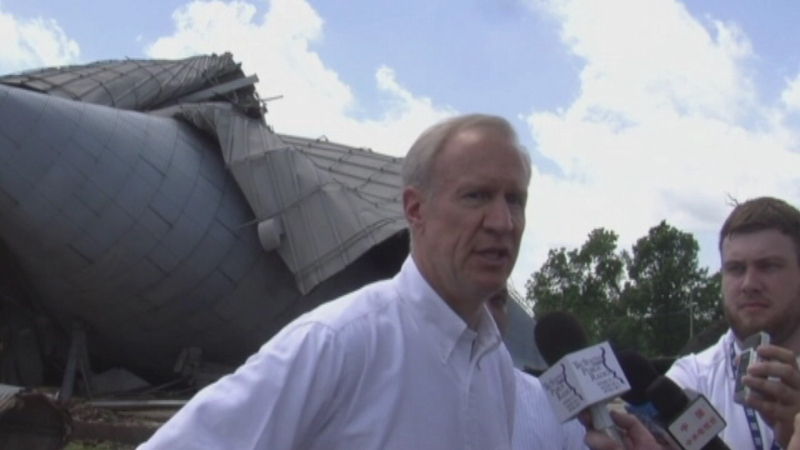 Governor Bruce Rauner was in Watseka Saturday morning to take a look at flood damage from earlier this week. WATSEKA, Ill. (WLS) -- Governor Bruce Rauner was in Watseka Saturday morning to take a look at flood damage from earlier this week. Rauner visited with residents who are staying at Trinity Church, which is being used as a Red Cross shelter for those who were forced out of their homes. Watseka was one of the towns hardest hit when heavy rains caused rivers to rise.